Though Number 4 dates to the early 19th century, Castle Street is considerably more ancient. It formerly served as the primary link route from the eastern end of the medieval city at Trinity College to Christ Church Cathedral in the west, prior to the opening of Lord Edward Street in the 1880s. Until that time, most traffic came along Dame Street, looped around Cork Hill towards the entrance to Dublin Castle, and continued up narrow Castle Street towards Christchurch Place, then part of Fishamble Street. In the medieval period, Castle Street was a hive of activity and commerce, lined with timber-caged houses and shops, home to bookbinders, saddlers, armourers and taverns, flanking the defensive walls of Dublin Castle. 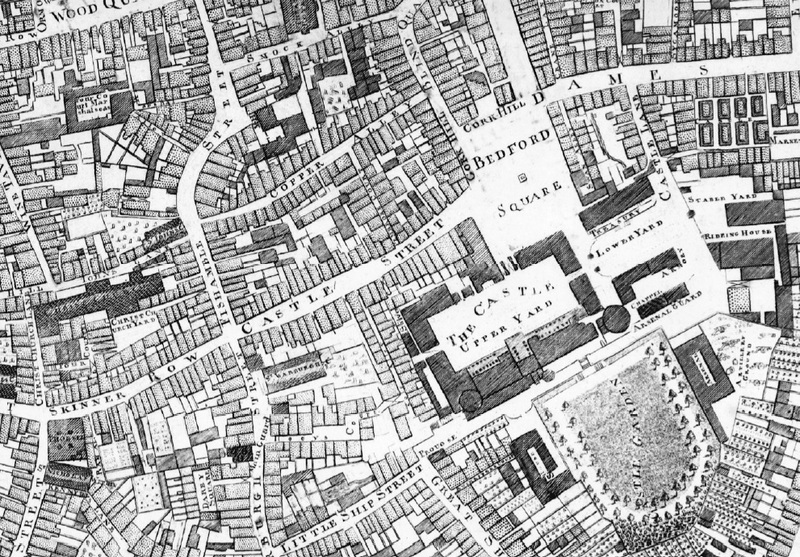 The adjoining image shows John Rocque’s map of Dublin from 1756, depicting Castle Street linking Dame Street with Fishamble Street, skirting the precinct of Dublin Castle. The prominence and importance of Castle Street in the life of the city is clearly apparent. Many of the houses depicted would have been the last vestiges of timber-cage construction that had survived into the 18th century, as well as newer, brick built, gable-fronted houses erected in the 1600s and early 1700s. In the early years of the 19th century, efforts were made by the Wide Streets Commission, the planning body in the city, to resolve awkward junctions in the medieval core of Dublin, following from its successful campaign of street widening in previous years. This resulted in compulsory purchase orders being made on buildings along the southern side of Castle Street where Number 4 now stands. A man by the name of Thomas O’Brien is recorded in 1812 as purchasing properties along this stretch, including the site of the last intact timber-caged house in the city, next door to Number 4, which had been demolished in May of the same year and was acquired directly from the Wide Streets Commission. It was standard practice for the Commission to sell on its cleared plots with strict conditions of lease, with the aim of promoting order, harmony and civic grandeur in the planning and architecture of the city. 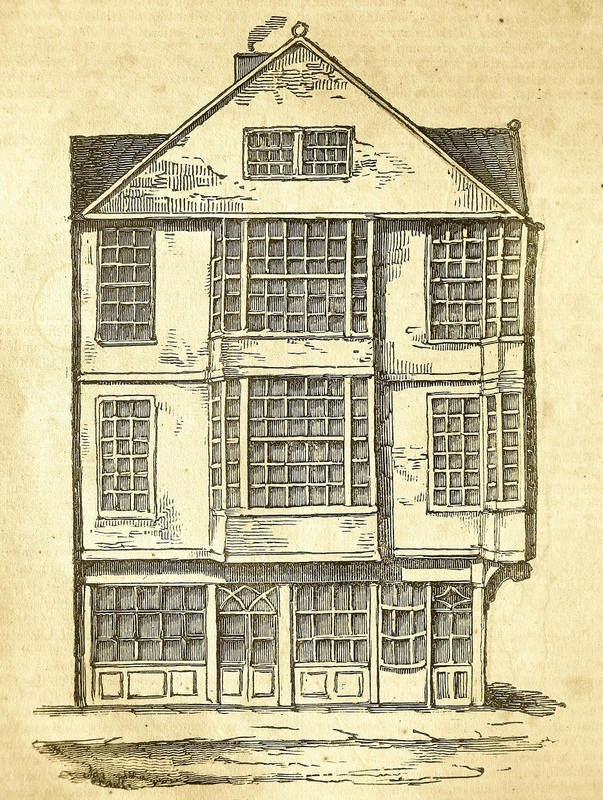 Number 4 is a typical example of a building constructed under the guiding hand of the Commission, with Thomas O’Brien recorded as erecting ‘4 good and substantial huses’ (sic) between Numbers 1 and 4 Castle Street in the years before 1819. It is likely that the present Number 4 was one of those houses. There are clearly later layers of modification in the building of c.1830-50 date, making Number 4 an interesting amalgam of simple decorative styles of the first half of the 19th century. In its early years, Number 4 was occupied by a relatively wealthy class of merchant, with the earliest recorded occupant being a linen draper and haberdasher, followed by a wholesale dealer in Birmingham ware and Sheffield ware, and a chemist. These traders would have occupied the shop at ground floor level and lived in the residence above, as was typical of Dublin merchant buildings. Access was gained to the upper floors by a separate door on the street which still survives. The spacious scale of Number 4's upper floors suggests it was built with multiple occupancy in mind, where a floor or group of rooms may have been sub-let to a tenant by the owner or the ground floor merchant. One record from 1845 makes reference to a 'new-built tenement house at Number 4'. By the early 20th century, when Dublin was in a state of economic stagnation, Number 4 was entirely in multiple occupancy residential use to its upper floors, with rooms rented out to families and other tenants, all served by a single outside lavatory, communal sinks and running water provided on the landings. One such tenant was Annie McCarthy who lived with her family in the second floor room overlooking Castle Street. 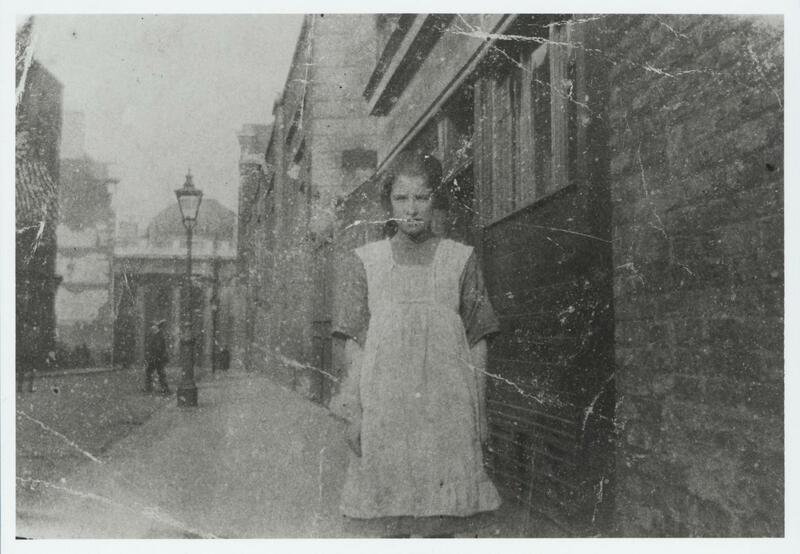 The photograph shows Annie standing on Castle Street in the early decades of the 20th century, when it featured a cobbled roadway, granite pavements and gas lamp standards. Dereliction is also apparent at this early stage, with a vacant site visible adjacent to the former Newcomen Bank at the far end of the street. The final tenant to occupy the shop at Number 4 was Thomas H. Barnwell, who moved to Castle Street from Werburgh Street in 1946 to continue the shoe repair business know to generations of Dubliners that his father had established in 1881. 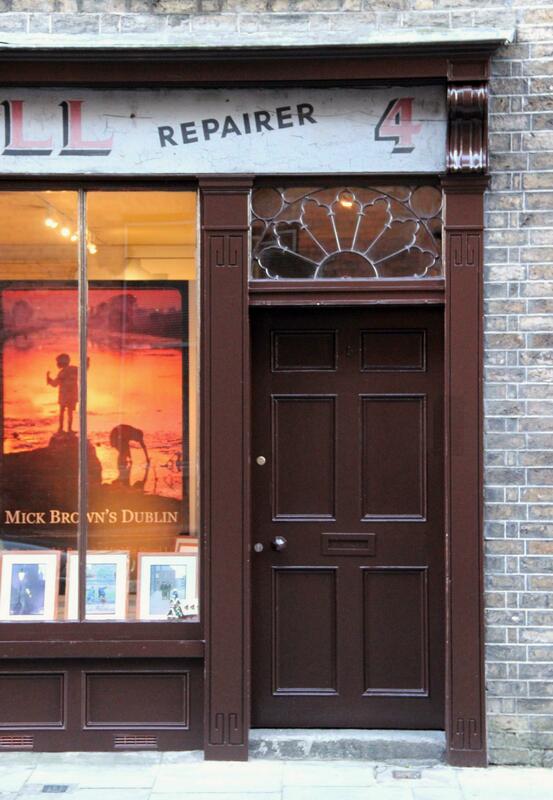 Mr Barnwell stayed in business until his death in 1985, when the shop was closed and remained vacant until Dublin Civic Trust acquired the building in 1996. In the meantime, the upper floors had continued to be used for residential purposes while the building gradually descended into decay. The last remaining tenant was Mrs Brigid French, who lived for most of her life with her family on the top floor before moving to new accommodation on nearby Lord Edward Street in her final years. 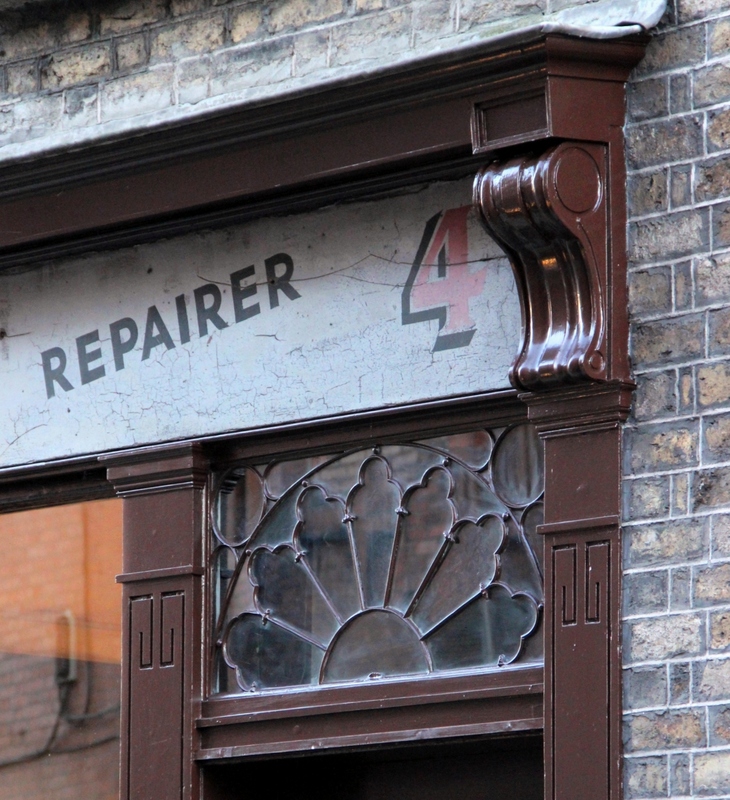 Dublin Civic Trust then began the process of piecing Number 4 back together.